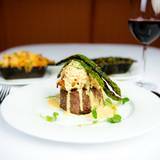 We have built our reputation on the belief that the finest ingredients yield the finest dishes; 21 day aged USDA Prime Corn-Fed Beef, the Freshest Seafood flown in Daily from around the world and Organic Locally Sourced Produce, are the building blocks of our award winning menus. With our attractive venue and close proximity to all of the downtown hotels and conference centers, it is no wonder Christopher's is the destination of choice among today's professionals. . We specialize in everything from corporate breakfasts, weddings, luncheons, and private dinners to multi-day meetings and seminars. In addition, we are within a block of over 2000 hotel rooms! Please fill in your information below and Melissa McMinn will contact you as soon as possible to book your event. If you’d prefer to talk now, please call us at (801) 890-6616.